Cindi Leive of Glamour Magazine shares this sensational recipe one of the girls made for her boyfriend. It was so yummy he asked for seconds and would you know by the end of dinner, he'd popped the question! Read on to discover why this particular dish came to be known as Engagement Chicken. "Once upon a time, there was an easy roast chicken recipe, handed down by a fashion editor at Glamour magazine to her assistant, who was in search of a dish to prepare for dinner with her boyfriend. She made the meal. Her boyfriend loved it. He had seconds. And shortly thereafter, he proposed. But that's not all: Three more young women at the magazine made this for the men in their lives who then, in short order, popped the question. 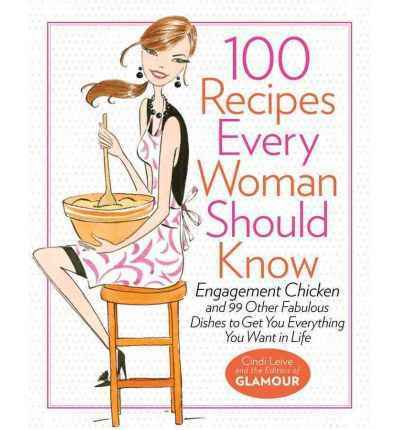 Glamour published the recipe - dubbing it, naturally, Engagement Chicken - and since then, the magazine's editors have heard from more than 60 women who have gotten engaged after making the dish." Like us, Cindi considers cooking should not be intimidating and it should always be fun. 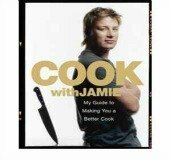 Leive has selected recipes which are easy and will help you cook with passion. Leive bring such fun and energy to cooking and Cindi adds to that a whole lot of elegance. Engagement Chicken - Roast chicken with lemon and herbs. It turns out a nice crispy skinned roast yet deliciously moist and tender. I'd do this again, but for my taste reduce the number of lemons. While delicious, for our taste it had a little too much "bite".